The SKB 3R2217-10B-DW Roto-molded Mil-Standard Utility Case is made to carry a variety of products such as; cables, pedals, microphones, laptops, camera and video equipment, lighting, drum machines, and effects boards. 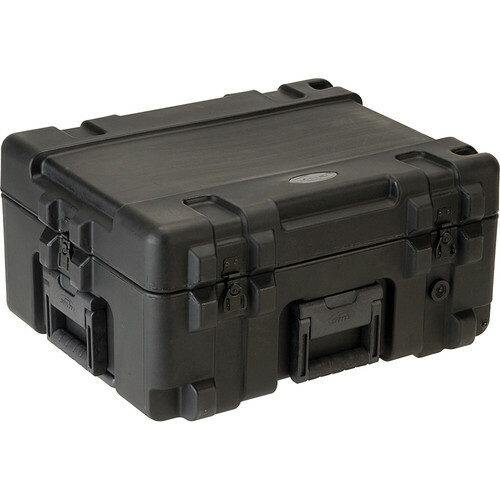 This case is designed to meet the most demanding military specifications, it is roto-molded for strength and durability, airtight and waterproof with solid stainless steel latches and hinges that will withstand the most demanding shipping conditions and they are padlock lockable. The 3R2217-10B-DW case is supplied with a set of dividers to make the case customizable to any audio, video or photo need. Box Dimensions (LxWxH) 26.0 x 21.0 x 13.0"